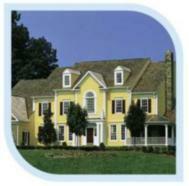 From September 1, 2011 - September 1, 2012 557 homes sold in the Centerville, Ohio and Washington Township areas. The sale price ranged from $48,600 - $1,070,000. The average home for sale in Centerville and Washington Township sold with 4 bedrooms, 3 bathrooms, 2,561 square feet, the average sale price was $221,571 (95% of asking price on average), and the home sold in an average of 123 days. To view and search homes for sale in Centerville, Ohio visit Centerville Ohio homes for sale.